The pack “The Longest Yard/Click/Big Daddy (3 DVDs)” on DVD, UK version. You can find the films in English only in this pack. This version of “The Longest Yard/Click/Big Daddy (3 DVDs) (UK Version)” was released in 2010. Le coffret “Longest Yard/Click/Big Daddy (3 DVDs)” en DVD, version UK. Les films dans ce coffret sont disponibles en anglais uniquement. Cette version de “Longest Yard/Click/Big Daddy (3 DVDs) (Version UK)” est sortie en 2010. This version of “The Longest Yard/Click/Big Daddy (3 DVDs) (UK Version)” was released in 2007. Le coffret “The Longest Yard/Click/Big Daddy (3 DVDs)” en DVD, version UK. Les films dans ce coffret sont disponibles en anglais uniquement. Cette version de “The Longest Yard/Click/Big Daddy (3 DVDs) (Version UK)” est sortie en 2007. The TV serie “3rd Rock From The Sun – The Complete Season 5” on DVD, UK version. English language only. This version of “3rd Rock From The Sun – The Complete Season 5 (UK Version)” was released in 2005. La série TV “3rd Rock From The Sun – The Complete Season 5” en DVD, version anglaise. Anglais uniquement sur ce DVD. 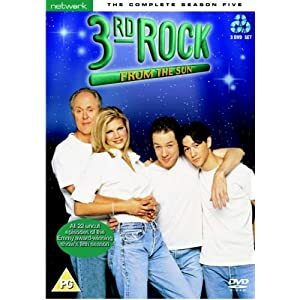 Cette version de “3rd Rock From The Sun – The Complete Season 5 (UK Version)” est sortie en 2005. The pack “The Cheerleaders” on DVD, UK version. The films are available in English only on these DVDs. This “The Cheerleaders” pack was released in 2011. Le coffret “The Cheerleaders” en DVD, version UK. Le films sont disponibles en Anglais uniquement sur ce coffret. Ce coffret “The Cheerleaders (Version UK)” est sortie en 2011. The sixth season of Baywatch, UK version. “Baywatch – The Complete Season 6 (UK version)” was released in 2012. La sixième saison de Alerte à Malibu, version anglaise. “Baywatch – The Complete Season 6 (UK version)” est sorti en 2012. The fifth season of Baywatch, UK version. “Baywatch – The Complete Fifth Season (UK version)” was released in 2011. La cinquième saison de Alerte à Malibu, version anglaise. “Baywatch – The Complete Fifth Season (UK version)” est sorti en 2011. 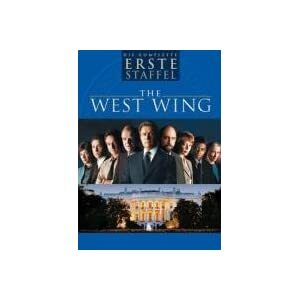 The TV serie “The West Wing – Die komplette erste Staffel (6 DVDs)” on DVD, german version. The TV show is available on these DVDs in German and English language. “The West Wing – Die komplette erste Staffel (6 DVDs) (German Version)” was released in 2010. 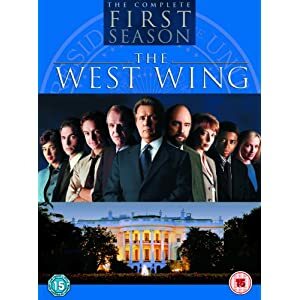 La série TV “The West Wing – Die komplette erste Staffel (6 DVDs) ” en DVD, version allemande. La série TV est disponible en Allemand et Anglais sur ces DVDs. “The West Wing – Die komplette erste Staffel (6 DVDs) (German Version)” est sorti en 2010.